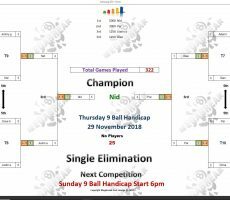 THURSDAY 9 BALL – 29th NOVEMBER : NID WINS. 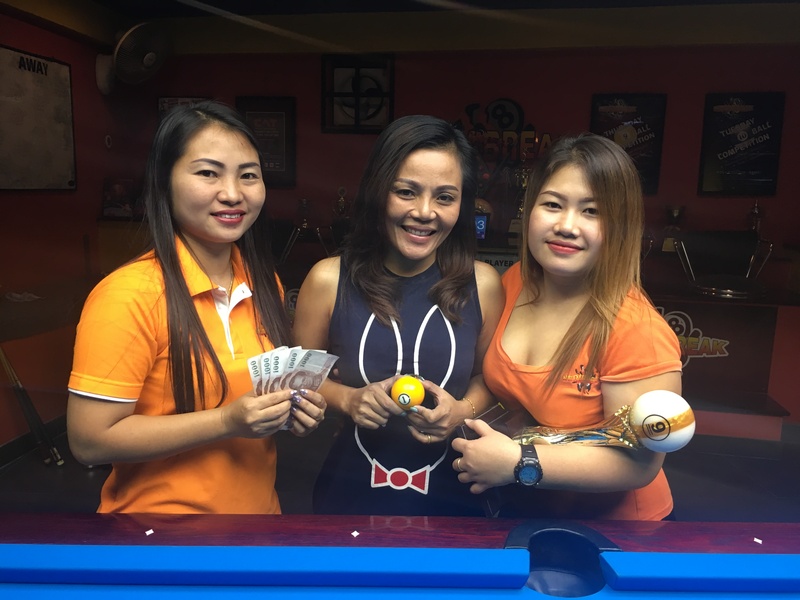 Thursday night’s 9 Ball Competition was dominated by the Thai girls this week, with two of them making it to the final. 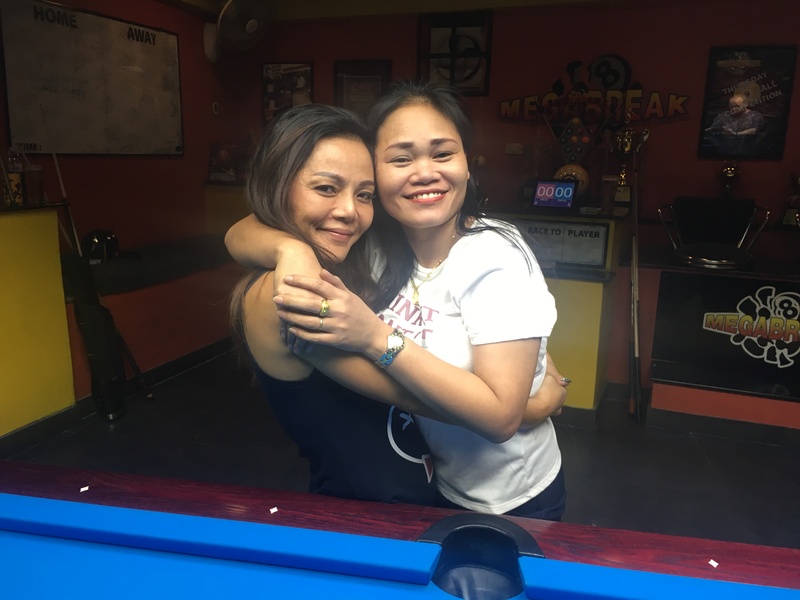 Only five girls played out of a total entry of 25, but friends Nid Mirantee Phukthamt and Par Radardow Inamka fought off the challenge of the men to reach the final and play each other. 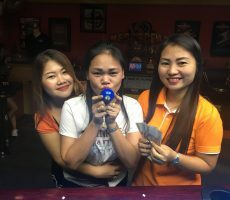 And it was Nid who went all the way, beating her friend in the deciding rack (race 5-4) to lift the trophy and claim the 1st Prize of 5000 baht. 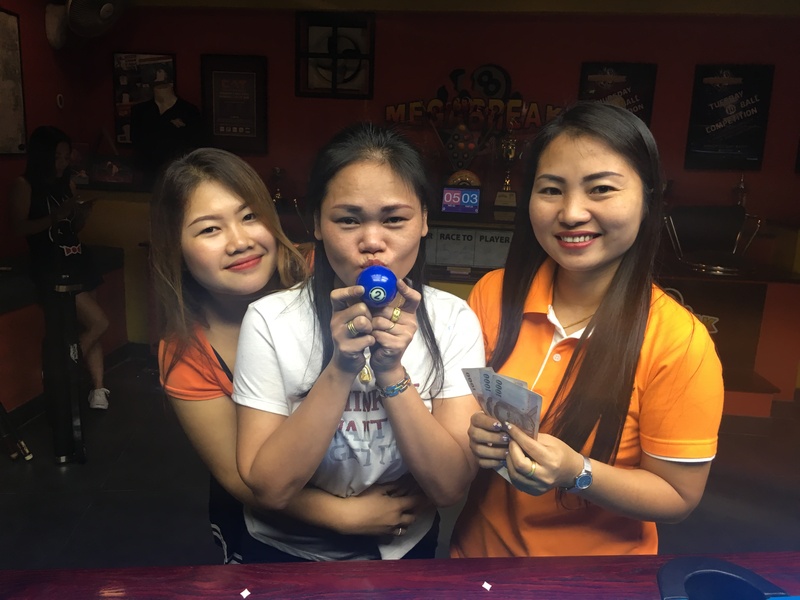 She was also winning for the very first time as an A+5 player, with her last tournament victory at Megabreak being more than one year ago!! 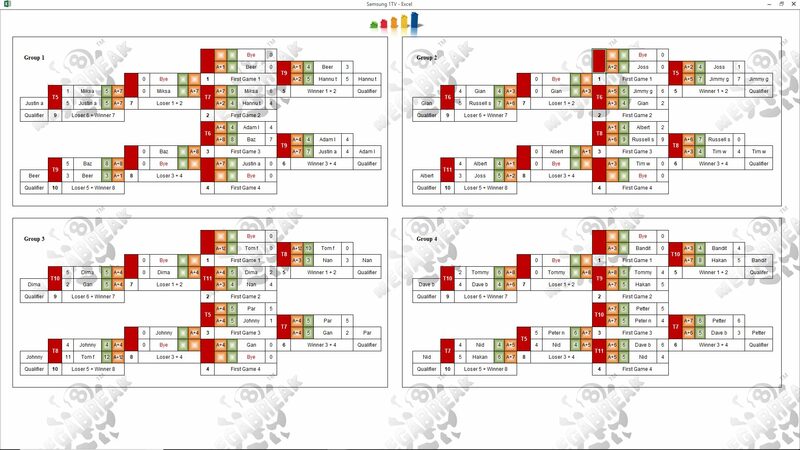 Par played well to reach the final before losing out by the narrowest of margins, and took home 3000 baht as Runner-Up. 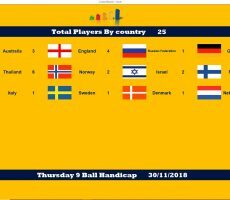 New player Justin Allen from Australia, and Italy’s Gian Cabella were the other money winners on the night, each receiving 1250 baht for reaching the semi-finals. 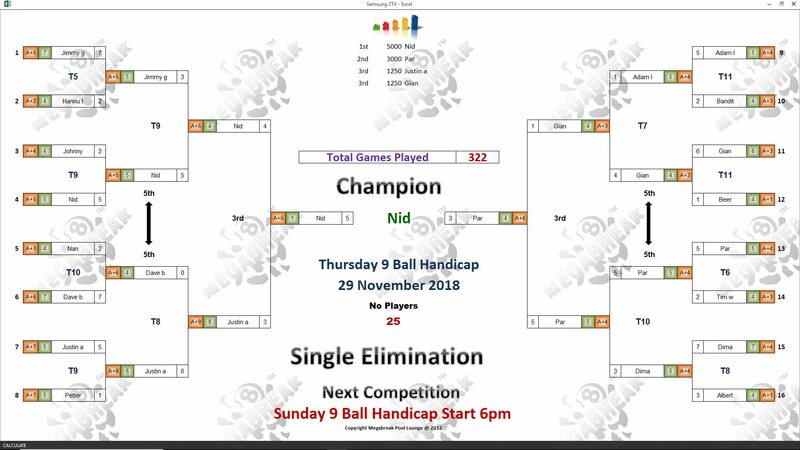 Champion : Nid (A+5) – 5000 baht. 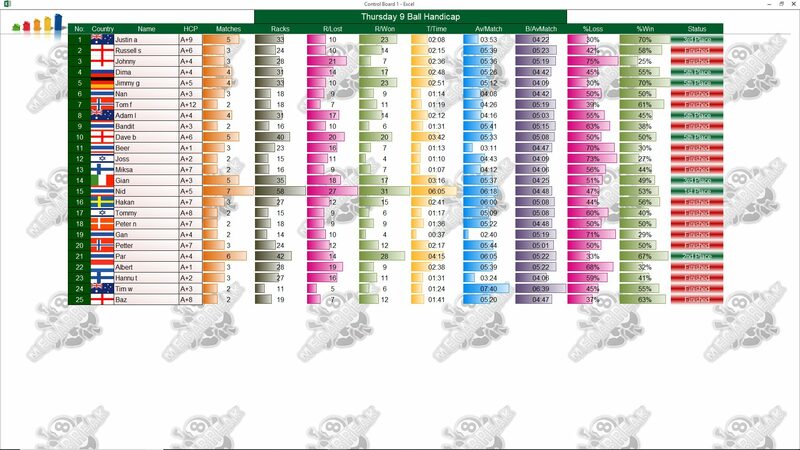 Runner-Up : Par (A+4) – 3000 baht. 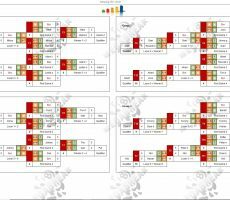 Semi-finals : Justin (A+9) and Gian (A+3) – 1250 baht each. 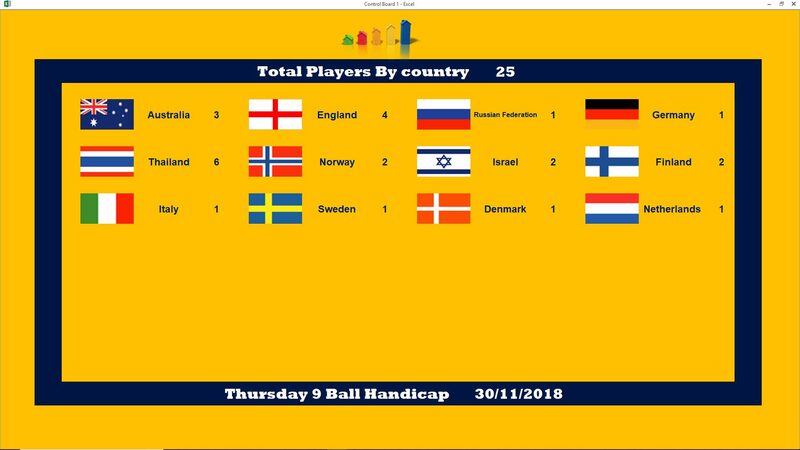 The Player Auction Prize Pot totalled 23300 baht and was won by Hannu Torpström. He paid 900 baht for Nid, and they shared the 1st Payout of 9000. 1st : Hannu (Nid) – 9000 baht. 2nd : Adam Lux (Par) – 6700 baht. 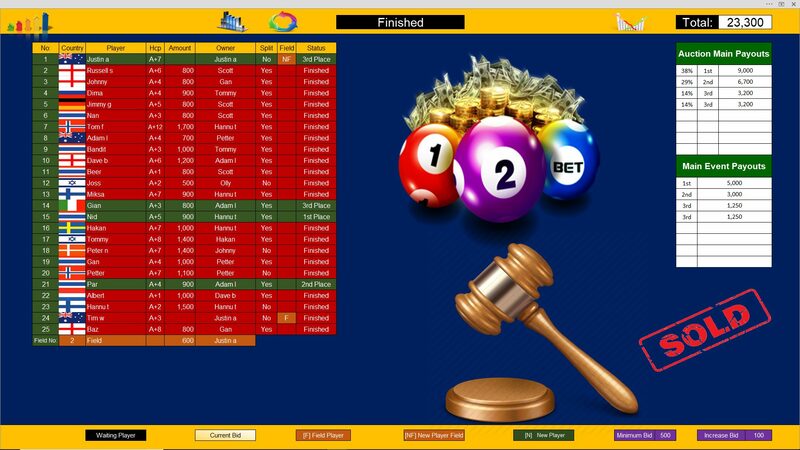 Equal 3rd : Justin (The Field) and Adam (Gian) – 3200 baht each.